K.R Mangalam World School, G.K-II believes that Education is not an act of acquiring knowledge but learning a skill and forming one’s personality to lead life. KRM students are bestowed with tremendous potential and the competition tally is the shining example of their dynamic optimism. 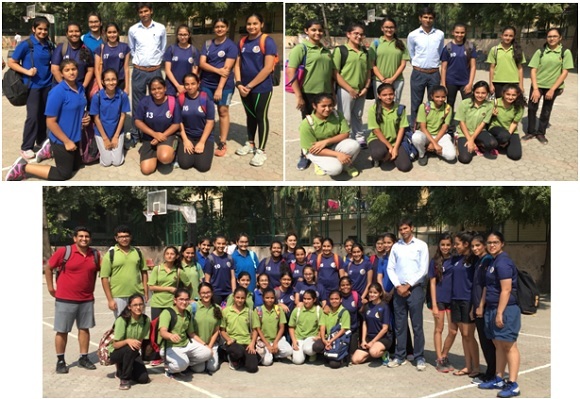 The competitive spirit at KRM is going great guns with students emerging victorious by winning the First Position at the Zonal Basketball Tournaments for Senior and Sub Junior Girls Category held at Don Bosco School, Alaknanda from 14 October to 18 October, 2016. Their winning spree has proved that if we acknowledge the immense power within us, no hurdle, no matter how big, can prevent us from achieving our dreams.